In survival situations, fire provides warmth, deters animals and bugs, is used for purifying water and cooking food, and can be used to signal for help. The Ultimate Survival Technologies Firestarter Kit 1.0 makes getting this lifesaving element going even easier. It comes with five individually wrapped Wetfire starting tinders that light in wet or windy conditions, and a flint and steel striker that's sure to create a spark even in the worst weather or environment. The striking rod and steel are kept safe in their own holder with a paracord length to carry around your neck. 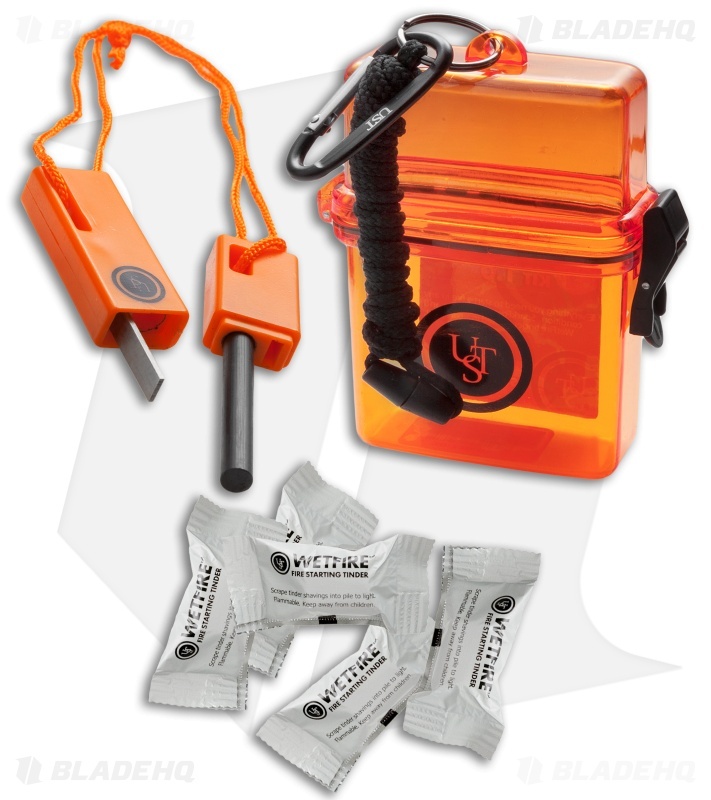 Everything is kept safe in a water tight safety orange container that includes a key ring, length of black paracord, and a carabiner for easy carry.